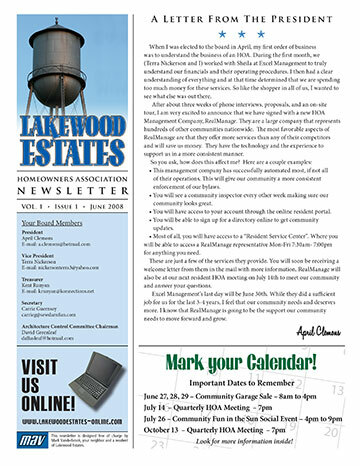 Assignment: Serving on the communications committee for the Lakewood Estates Homeowners Association, I volunteered to design, develop and maintain the association's newsletter. 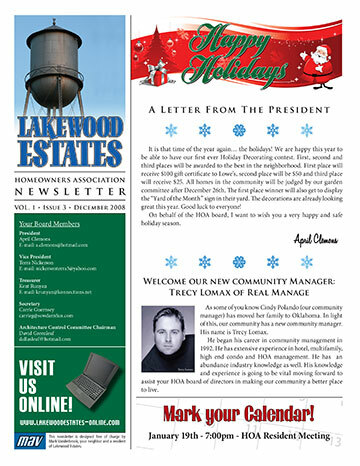 The newsletter was published quarterly and mailed to every homeowner. 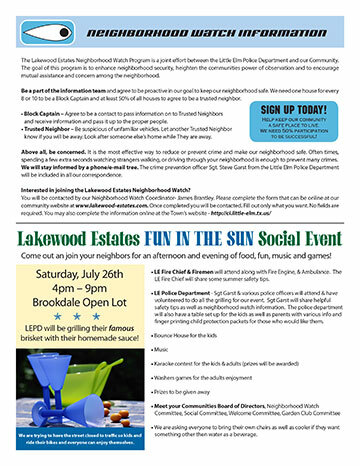 I took the extra step of proposing we publish a digital copy that residents could download that the association's website, which was met with much enthusiasm by the board of directors. 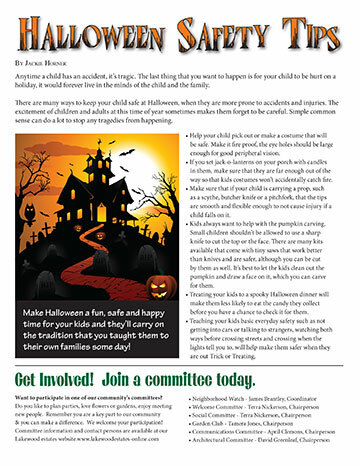 For this assignment, I developed concepts, presented to the board and once approved, maintained the newsletter for two years. Regarding the design - the neighborhood backs up to the town's iconic old water tower. It's the most identifiable landmark in town, so I used that to brand the association. 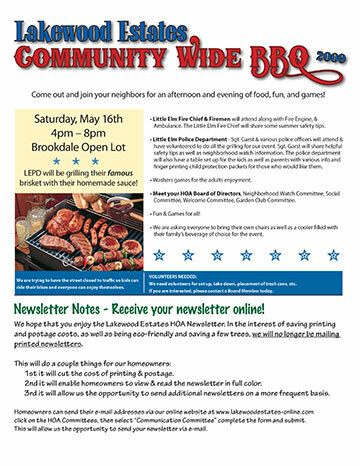 I chose a fun font to carry the attitude of the neighborhood through the association's communications. 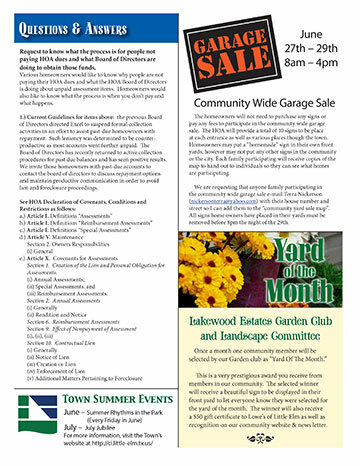 The goad was to keep things light and friendly - and help dispel the myth that homeowners associations are a bad idea.